“Along with Tony Cragg (b 1949) and Antony Gormley (b 1950), Richard Deacon is one of the most important contemporary British sculptors. His existential study of form and space reveals a fundamentally new approach, the determining factor being his treatment of the most diverse materials. The wavy, convoluted sculptures with their intricate rhythms and the biomorphic spatial objects are amongst the most complex works of modern sculpture.”…. 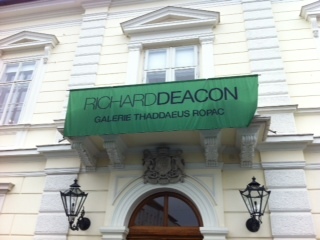 at the opening of the exhibition today was presented for the first time the book Richard Deacon: So, And, If, But, ed. Dieter Schwarz (Winterthur Museum of Art), an anthology of essays on art theory by Richard Deacon, written during the years 1970-2012. 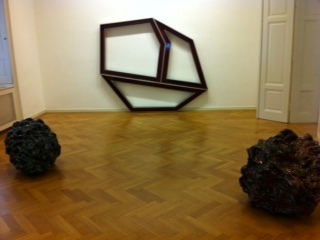 The film In Between – der Künstler Richard Deacon (Germany, 2012) by Claudia Schmid also at the exhibition.